I have a bunch of smallish things to say. Which means it’s time for a miscellany post! When I do a Stitch Fix post, there are always a few readers who voice some mild unhappiness about it. 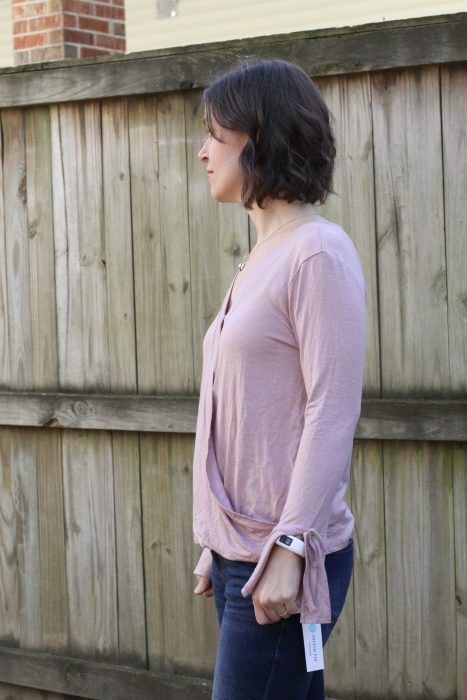 For example, on the latest Stitch Fix post, a reader commented that she’d be so glad when I quit doing Stitch Fix posts, and then in the very next comment, a reader said she loves these posts, and she’ll be really sad if I ever stop. Which is just how blogging goes. You can’t make all of the people happy all of the time! At any rate, I just wanted to say that though I haven’t officially tallied the comments over time, I do know that the vast majority of commenters find Stitch Fix posts to be very entertaining and do want me to keep doing them. I totally understand this because I always think it’s so great to watch other bloggers try on clothes, whether it’s Stitch Fix or something else. Seeing them on real people rather than models is enjoyable, and fashion, good or bad, is fun to see. This definitely fell into the “bad” category. And it’s fun to see bloggers come out from behind the camera. So, for those of you that hate Stitch Fix posts, my apologies; they’re probably going to keep happening once a quarter or so. 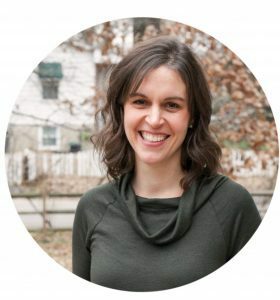 There are over 3,000 posts in the Frugal Girl archives, though, so hopefully you can find something else to entertain yourself when Stitch Fix pops up! Sears does still take Lands’ End returns. At least, mine does! The local Sears store web page said they took Lands’ End returns, and I called ahead just to make sure. This shirt is a Land’s End one that I DID keep. So I popped by while I was in the area and did my return with no problems. Yay for not paying return shipping! A squirrel nested in my van again. This time is not as bad as the time two years ago, when my van was undrive-able. But still, it’s frustrating. I turned the key, saw the check engine light, opened my hood, and found the engine compartment stuffed full of leaves. AUGH. The last time this happened, it was after I was out of town for several days and my van sat in the driveway. So, I’m guessing they probably made their home in there while I was gone skiing. I cleaned the leaves out, and every day since, sometimes multiple times per day, this squirrel has refilled my engine compartment with leaves. The record for quickest engine fill-up? A half hour! I parked my van in the driveway for a half hour, and it got filled with leaves again. 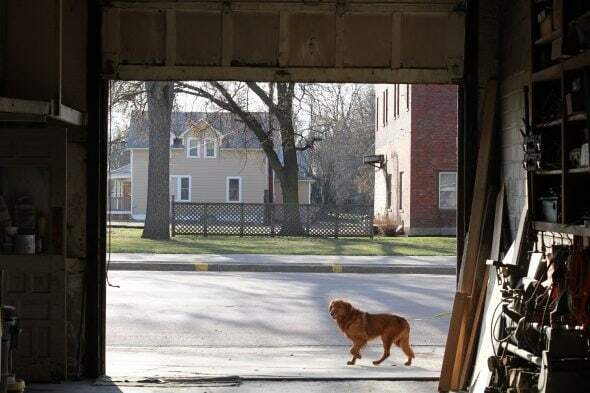 Whenever this happens, I always think how nice it would be to build a garage. But then I come to my senses and realize that it’s much cheaper to repair wire damage every few years than it is to build a garage. I ordered some of this rodent deterrent tape (recommended by Consumer Reports) and dropped it off at the mechanic along with my van last night. They’re going to replace the wires, clean out the nest mess in my blower (the AC and heat don’t work right when there’s nesting material in there, oddly enough.) and wrap my wires with the tape. Here’s hoping that’s enough to keep this persistent squirrel away! P.S. We already tried mothballs (they don’t keep the squirrels away but they do fumigate the inside of your car every time you turn on the heat/AC. Yuck.). And a flashing light doesn’t work for squirrels since they do their dirty work during the day. My mechanic did give me one helpful tip today, though; he said to always turn my heat/AC to recirc before I shut the car off because this closes access to the blower. So, I can at least keep them from messing up the climate control. When I had a problem with squirrels eating my car wires, the mechanic coated the tastiest parts with thick grease and I had no further problems. They never nested in my car, just ate parts of it. Count me as a “love them” on the Stitch Fix posts. If you didn’t do these for us, I wouldn’t have near as much fun :). My husband’s old Tahoe sits in the open for days at at time, and squirrels have never messed with it –although they will now that I’ve said that- and I wonder why they don’t. We have a ton of trees around, but your outdoor photos always show lots of trees, so that’s surely not it. Because we have a cat that goes out a lot? Maybe, but the cat’s presence doesn’t keep them out of the bird feed if I don’t use a special feeder. Maybe 2004 Tahoes have bad smelling/tasting engine compartments? What’s this tape do? I have a friend who is in a constant battle to keep squirrels out of his attic. He’s done everything but install a full-time security guard, and they still get in and build homes. Yet my daughter’s attic space in her house, right next to two big squirrel filled oak trees, is never breached, even though her house is not sealed nor has any active deterrents, like my friend’s house. Squirrels are… squirrely. The tape has capsaicin in it, which is what makes hot peppers hot. So, it’s supposed to discourage rodents from chewing on the wires. I know my van has soy-based wire coating, which is a large part of the problem. Also, the design of it does have quite a bit of empty space under the hood, which is good for nesting purposes. Mr. FG’s car has a lot less empty space under the hood. And Lisey’s car is way too old to have any soy-based wire coating! Advantages of a more elderly car. 2 and a half weeks after bringing home a 2018 Honda Civic( purchased in August). mouse/rats destroyed the wiring. Thankfully, the dealer fixed it for free and installed bounce dryer sheets for us. We put pine sol in a spray bottle and spray the tires. Maybe the outside cat is the thing. We have two outside cats–we call them the Ninjas and they are deadly. I wouldn’t want to be a rodent of any kind in our yard Or a bird or a snake or a rabbit. And we do have squirrels around. Your blog is great. It is your space and you post what you think is best. While I do love most of your posts, I simply skip over those that do not interest me with no need to comment about it. I think it is great that you read and respond to comments! +1 on liking the Stitch Fix posts! I had some kind of woodland creature make a snack out of my car last fall (and when you have a hybrid, chewed wires mean your entire onboard computer needs to be replaced and your car is totaled). My mechanic recommended mothballs, fox urine(!) and peppermint oil. I got a cheap bottle of peppermint oil in amazon, and coated my car and my husand’s car with it. So far (knock wood) I haven’t had another issue. Our pest guy in the past has suggested that rags soaked in ammonia will be a deterrent. Obviously you don’t want that in your engine, but maybe you could put a couple on the ground near the van? That would be an easy thing to try! Yay for more Stitch Fix posts! 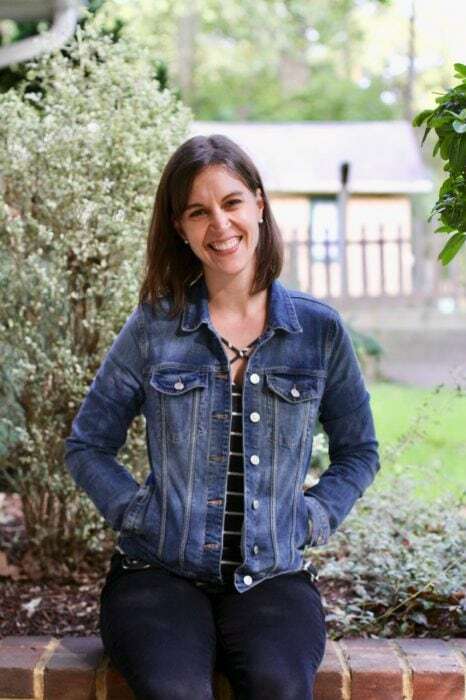 I like diversity in blogs, especially if I can learn something new or read from other people’s experiences before I try something, or even if I don’t want to try it myself. I myself think Stitch Fix is not worth it for me, but on the other hand, I’m less frugal about other things that you are more frugal in. Also, I think it’s interesting to read about homeschooling although I don’t do it myself. Simply put, please keep trying new things or doing things you like even if not the most frugal! Yay for Stitch Fix blogs! I like to see you model the good and bad clothes. How often do you get them? monthly? My question is: how many clothes do people really need? I work full time but can dress very casual so I wear Adidas track pants or jeans to work with sweat shirts. Unless I am going someplace formal, I don’t need to go shopping. Years ago a skunk got under our house and left some eau de parfum for us all to enjoy. We were told to get mothballs under there and the skunk wouldn’t come back. My husband managed to get a goodly number spread under the house, but, oh sister, the smell was almost worse and took days to dissipate. 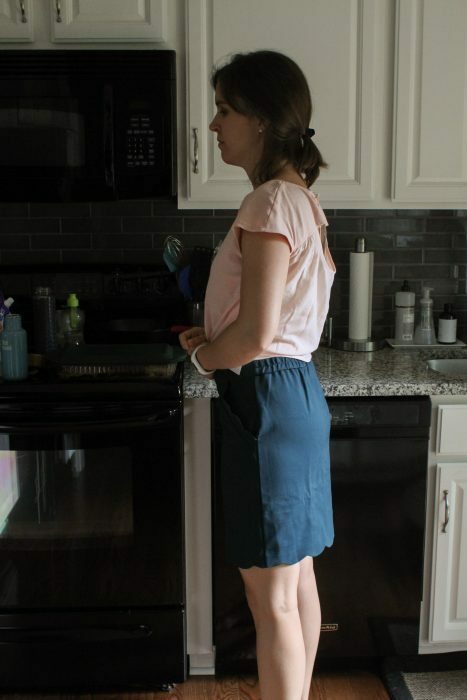 I tried Stitch Fix for myself, and did not like it at all. However, I do LOVE your posts. It is great fun to see your items and hear what you decide to keep, or return. You get a “YES” vote from me on the Stitch Fix posts. They’re fun and informative. Not quite sure why someone would feel the need to complain about them. Everyone’s entitled to their opinion though. Sorry to hear about your over-friendly, mess-making squirrel! Hopefully this new tape will help. Squirrels are the scourge of my lawn. They regularly dig holes all over the front and I swear I can hear them laughing when I chase them with the broom. A border of moth balls didn’t help. Last spring they seemed to be using them to start their own bowling league. So far they’ve stayed out of the car. I’m another fan of the Stitch Fix posts. I would be happy to send you my newly licensed hunter, and he would be happy to hunt squirrels for you. But then I would have to cook them, and really, squirrel is not all that good. Besides, your neighbors might complain about a 9-year-old with a .22 blasting away in your neighborhood. We used to have SO. MANY. squirrels in the attic at our old house, which was surrounded with black walnut trees. In the winter, we would be kept up by the sound of the squirrels rolling walnuts down the sloped eaves of the attic directly above our bedrooms. And once, there was a flying squirrel INSIDE our house for two days before we trapped it. I have no love for squirrels. Oh my goodness! A flying squirrel!!! In the house!!!!! I’d probably have moved out. Flying squirrels are actually raised from baby-hood by people who keep them in little pouches next to their heart to semi-tame them and keep them as pets. I did not do this with the one in our house. 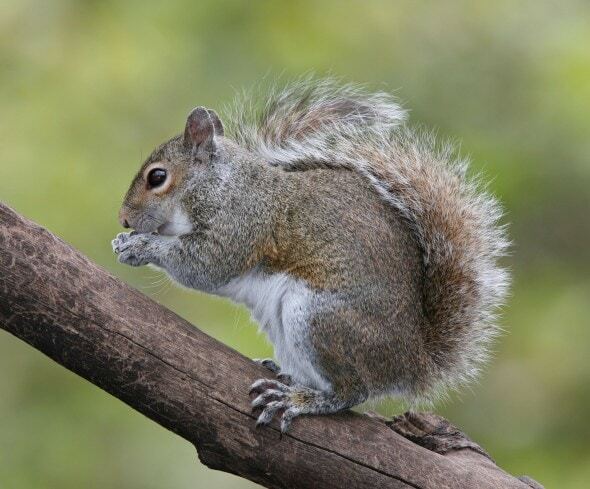 We routinely had much worse things in the house–raccoons under the porch and in the trees, a woodchuck in the cellar, birds, and many, many bats–so the flying squirrel was the least of it. Old, historic houses are fun. Somehow I missed the brand of bag from Stitch Fix. Love it, please tell me what brand it is. Thank you. I’m not a huge fan of the Stitch Fix posts, but I would never leaving you a comment saying that. Sheesh (though I guess I just did, lol). I just skip them or find something in the archives. It IS a frugal thing, it just doesn’t interest me. You don’t have a garage?!? That is all. Love all your posts because you’re so *nice.*. We don’t. A lot of homes here actually don’t, which is a bummer! If you use PayPal check out their we pay the return shipping program! It’s free but I think you need to activate it. Land’s End takes PayPal and I had $7 or so deducted from my return for their return shipping label. I just uploaded a couple things to PayPal and they credited my PayPal account! It takes a week or so to see the money and a few steps but I definitely have made a few purchases knowing I would be out the shipping if I want to return! Oooh, that is good to know! The only Sears nearby was closing and I hated to buy something from Land’s End knowing I’d have to pay to return it. I also love your Stitch Fix posts! I feel like I live vicariously through you. I did Stitch Fix a couple times because you inspired me, but when I get bad boxes I get so annoyed and depressed! Haha! You handle it with much better aplomb and humor so I just wait for your updates. Speaking of topics I would love you to cover: would you mind doing one about your year of strength-training? I realize you are not a fitness blog, but part of the value of you doing it is precisely that: it’s one part of your life. It’s nice to hear you can make good progress without becoming a gym rat! I am super inspired by that! I’m so blessed by your confident and gracious attitude toward the fact that you can’t please everyone, which is always true, but difficult to deal with where the rubber meets the road, especially when you’re putting something as personal as writing about your household habits out there. So thank you for persevering. And thank you for all kinds of posts! Check your homeowners insurance. When the jack squirrels chewed the wiring in my car the repair was covered by insurance less deductible. We now put dryer sheets under the hood, so far so good. 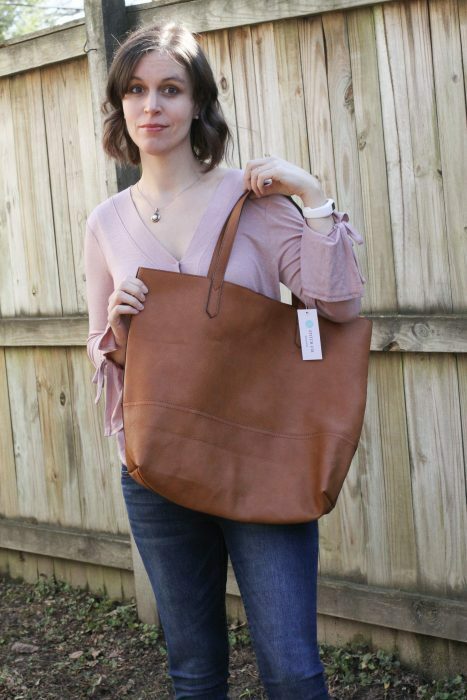 I used Stitch Fix for a year to revamp my wardrobe, and the pieces I kept, I’ve loved! I haven’t kept up the service since then, but it’s fun for me to see your posts on it. Mostly though, I’m with Beth above–it inspires me to see you respond graciously but also with confidence to criticism. I love your blog, especially the diversity of your posts. Thanks for all the work you put into it! No matter what you write, there will be readers who aren’t all that fond of, or uninterested in, that topic. Me, I’m uninterested in recipes, I liked the food waste posts, and I lived vicariously through your furniture rehabs (I aspire to that, but rarely actually do so). What I do like, and what you have always consistently provided, is a welcoming attitude that includes a strong dose of “you don’t have to make your own yogurt.” Keep up the good attitude and I will keep reading whatever you write. PS: I do enjoy your occasional descent into the sardonic when you get particularly unusual StitchFix items, such as that bad and the everlastingly-notorious turtle sweater. What a gem that sweater was. 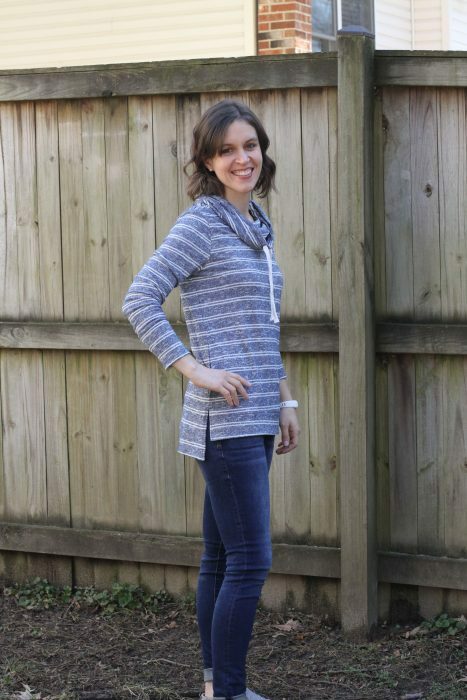 Love the Stitch Fix posts! 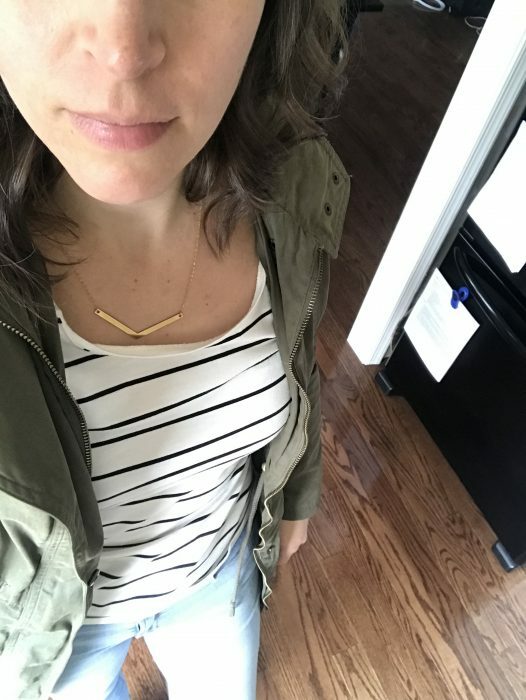 I live vicariously through your Stitch Fix posts and love them! Keep them coming. I love seeing clothes online.. I just don’t like what Stitch Fix sends you!! Makes me think they are not a very good way to purchase clothing.. you deserve pretty clothes!! Have you thought about leaving a trap and catching the little fella and relocating him to a park or other wild life area? You could give him a stern warning not to return to your area. Sounds like he thinks his home is in your car. I think all your posts are entertaining but I miss the Food Waste Friday, it would be awesome if you could bring it back even if it is every 6 months or so. My dad owns some traps and I am definitely considering asking him to share them with me. But then I’m wondering, how will I make sure I catch THIS particular squirrel? There are so many in my neighborhood. You should set the trap next to your car with the open side up against it. I would assume he is climbing up from underneath. If you get one cover the cage with a blanket or towel for transport. I will always be reading the stitch fix posts for the surprise element of what you received (it’s like watching someone open presents), and the awkward modeling. Love it! You’re the reason I’m doing Stitch Fix (now every 3 months) so of course I love reading these posts. I signed up for the Stitch Fix pass last year which I thought was a good idea but didn’t realize that Stitch Fix would automatically sign me up again this year (not a frugal move on my part). So half of me is thrilled to get more fixes this year and the other half is a little upset for not catching that charge on my end. So, cheers to another year of Stitch Fix fun and thank you for brightening every week with your wonderful blog! In fairness, if building a garage vs. fixing wires is purely a cost-benefit analysis, then (assuming you have the funds to build the garage) you’d have to factor in the benefit of the increased property value of having a garage vs. the cost of continually repairing a depreciating asset (the car). PS – love your blog, don’t change a thing. That IS true. I’d say that at this point, there are lot of other pressing things we need to spend money on other than a garage, so wire repair it will be. With a good side helping of trying everything we can think of to deter the squirrels during nesting season!